Albums sold on vinyl and cassette both saw double digit sales growth in the US last year, according to a new report produced by BuzzAngle (via Genius). Vinyl sales grew by just shy of 12 percent from 8.6 to 9.7 million sales, while cassette sales grew by almost 19 percent from 99,400 to 118,200 copies sold in the US. It wasn’t quite the 41.8 percent growth seen in music streaming, but it’s still very impressive for two formats that are decades old. The popularity of both physical formats seems to be being driven by sales of older albums. BuzzAngle reports that over 66 percent of vinyl sales are of albums that are over three years old, with releases from Michael Jackson, The Beatles, Fleetwood Mac and Pink Floyd all featuring in the list of the bestselling vinyls from last year. 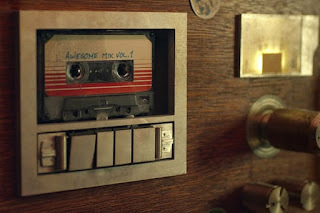 Although a 2014 Guardians of the Galaxy compilation album claimed the top spot once again, this appears to be the exception rather than the rule. Cassette sales do seem to be driven a little more by newer releases, but the majority sold (52.5 percent) were still over three years old. However, the report noted that just under 32 percent of sales were of albums that were under a year and a half old, compared to around a quarter of vinyl sales. Despite the increasing popularity of older formats, physical album sales are still in decline overall thanks to CDs. The small digital discs are in the unfortunate position of having all of the drawbacks of physical media with none of the retro appeal, and retailers including Best Buy are increasingly refusing to stock them. Although they continue to be the most popular physical format with over 60 million sales, CDs declined by 18.5 percent in popularity last year, leading to a total decline in physical album sales of over 15 percent. Ultimately though, the continued growth of streaming meant that music consumption increased overall throughout the course of the year. The popularity of audio streams increased by a massive 41.8 percent last year (the biggest increase of any area) and accounted for three quarters of the music industry’s revenue as of September 2018.